Maestro Serrano, 5, 46120 Alboraya, Spanje. Hotel with spa-resort in Valencia conceived for the holiday and business tourism, the Olympia Hotel breathes a modern air, it creates a friendly atmosphere and it marks a clear difference: Take care of its clients. 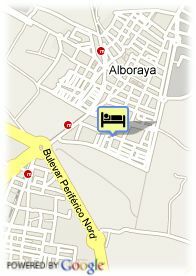 The Olympia Hotel is located in a very quiet and pleasant area, in Alboraya. At just 5 minutes by car from the historical center of Valencia. There are a magnificent restaurant, swimming pool, gardens, different shops and a complete business center standing out among its facilities. Moreover, it disposes of several lounges equipped with the up-to-date technology in order to celebrate conventions and social acts with the total guarantee of the work reunions. The sport facilities and its complete spa-resort are perfect in order to relax after a hard working day or tourism through Valencia. 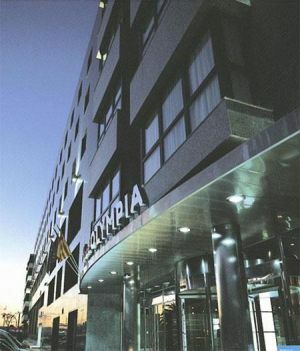 The Olympia Hotel is located next to the main public transportation means, fact that facilitates an excellent connection to the most important points of the city: the fairground, the Congress Palace and the City of Arts and Sciences.